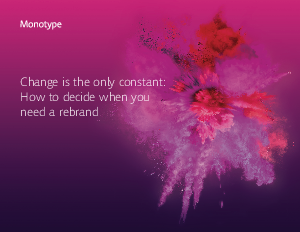 The decision to update your brand is rife with uncertainty, especially in our fast-paced, ever-evolving, modern world. When is the right time? Is there a right time? Can you truly update for the future, or will you always feel two steps behind? This eBook will introduce some of the major factors to consider, and outline a way forward for brands looking to regain control of their destiny.